Need coverage for your court appearance? Quickly and easily request an attorney to cover for you. 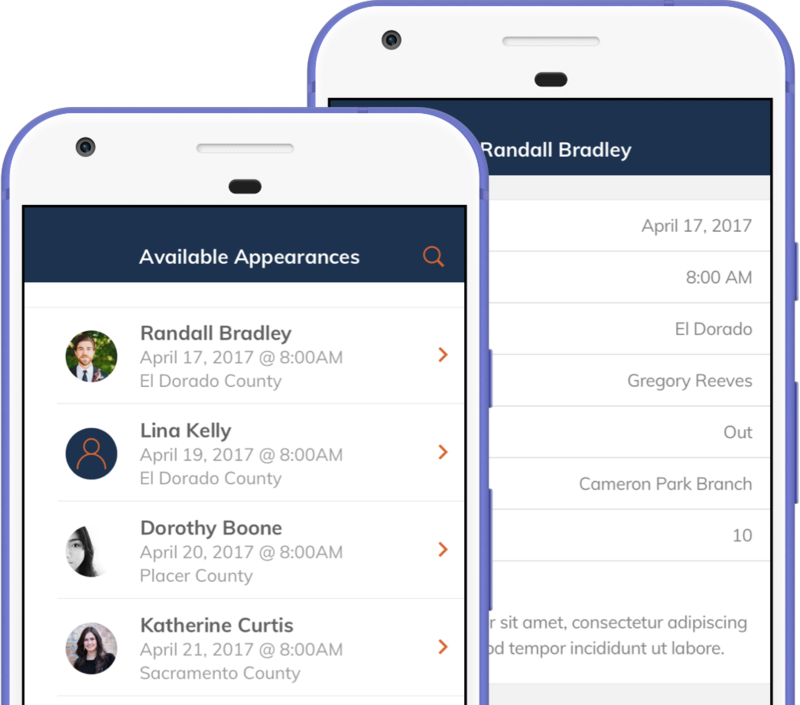 Earn additional income by covering appearances for other attorneys. Accept and cover at your convienence. 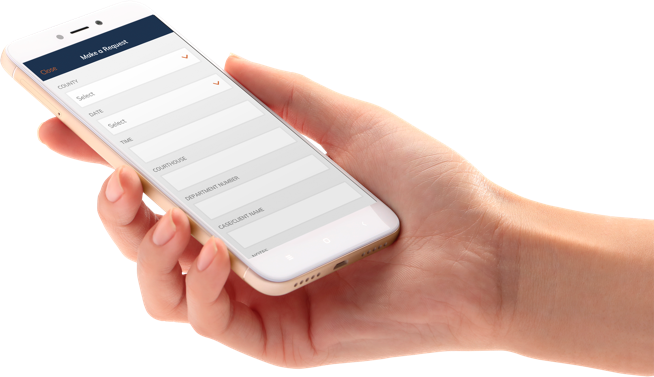 Manage your appearances and requests all from the palm of your hand on any iOS or Android device. View appearances that need coverage in your preferred counties. Start your request by selecting the orange + icon from anywhere in the app. Fill out the necessary information needed for your coverage. Add your payment method and your request will be posted immediately.